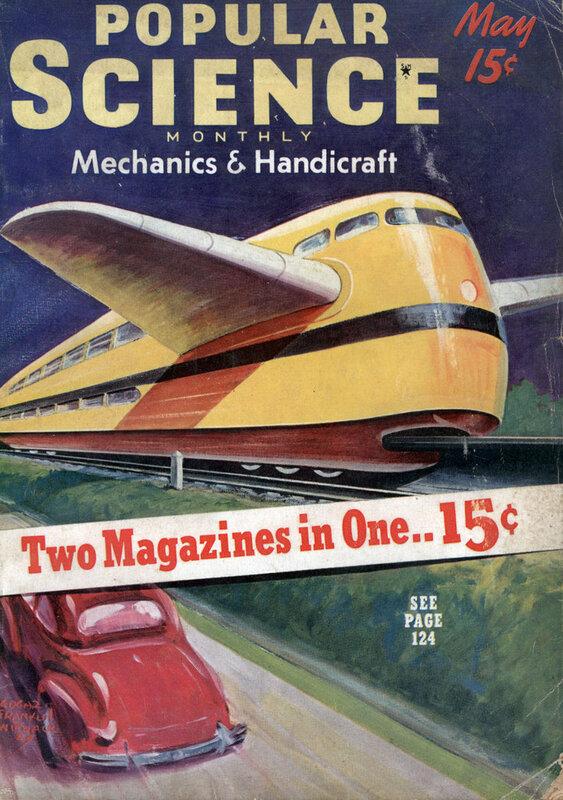 Geographical globes of the world which can be collapsed like umbrellas are an English novelty gaining in popularity among boat travelers on round-the-world cruises. 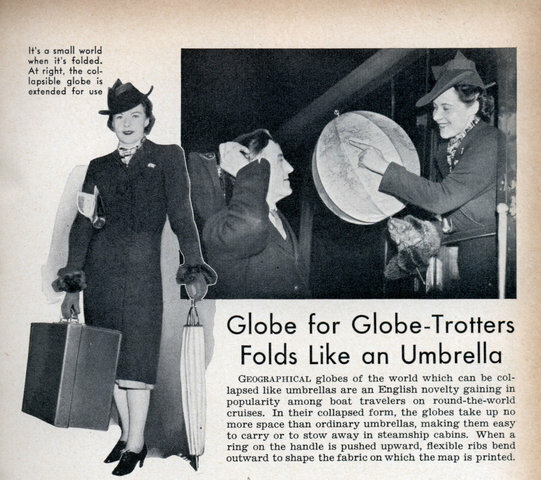 In their collapsed form, the globes take up no more space than ordinary umbrellas, making them easy to carry or to stow away in steamship cabins. When a ring on the handle is pushed upward, flexible ribs bend outward to shape the fabric on which the map is printed.